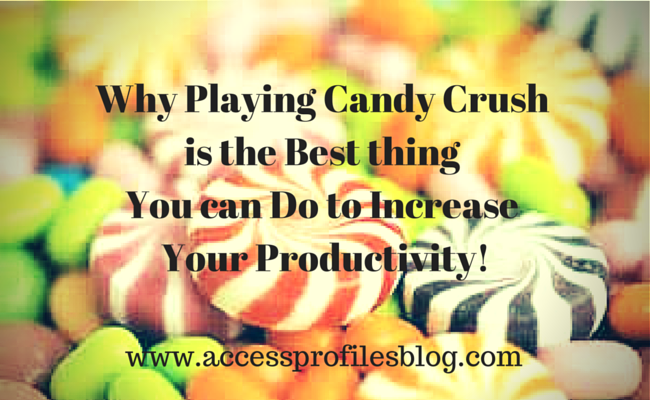 Access Profiles, Inc.: Why Playing Candy Crush is the Best thing You can Do to Increase Your Productivity! 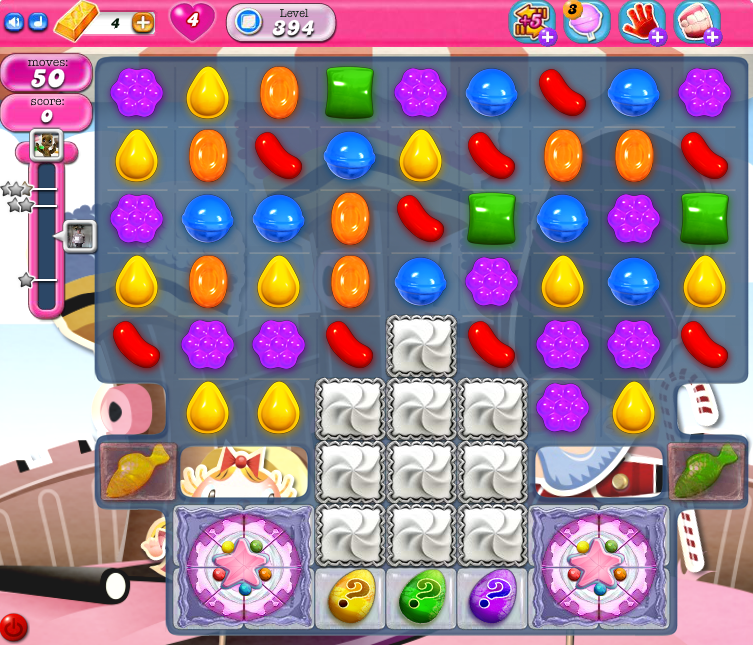 Why Playing Candy Crush is the Best thing You can Do to Increase Your Productivity! And I have joined the bandwagon. While I can’t speak for everyone, my fascination with the popular game has both practical and personal reasons. I have written before about the benefits I found in taking “active breaks” (Tips to Help You Gain Focus and Get Active). And there is no doubt that it has benefitted me both mentally and physically. However, when I need a purely “break for the mind”, nothing beats Candy Crush! Okay, okay, I exaggerate a bit. But, whenever I want to get the juices flowing again, or just need to rest my brain, I find that playing a “mind game” like Candy Crush to be just the thing! And I think it will work for you too! As with anything, there are times when playing a game, or taking any kind of break, is Good for you. But other times when it is not. Who doesn’t like a reward, even a small one? When I complete a job, especially one that ended up taking a lot of my time, it is a welcome relief to take a quick break and do something fun. There are times when a difficult deadline or a problem project will put my brain on overload. Putting it aside for even a few minutes often gives me the breather I need to go back and tackle it head on. Before hitting that publish button, or even before editing, it is always best to let that blog or project sit. I have found that by taking a break, I can come back with fresh eyes and my blog is better for it. Each level of Candy Crush is different and gets progressively harder. Finding a way to solve each level sometimes requires you to use trial and error or think outside the box. Win, win! win? There are times I complete a level on the first or second try. Other times it take many, many times before I solve the puzzle. But either way, when I get to move on, I have earned a small win! You use it as a way to Have Fun! After all, isn’t that what playing any game is really all about? There has been much research on why playing games is actually good for your brain and help you learn. This infographic on “Why are Games Good for Learning” illustrates the effect of Rewards, Play, and Mastery on the “Laws of Learning”. Playing games has shown to be good for your brain. By solving the game’s puzzles, we are really increasing our mental ability and helping our brain form new connections. But, there can be too much of a good thing ~ and playing games is no exception. “ 32% of them ignored friends or family to play the game, 28% played during work, 10% got into arguments with significant others over how long they played, and 30% said they were “addicted.””. 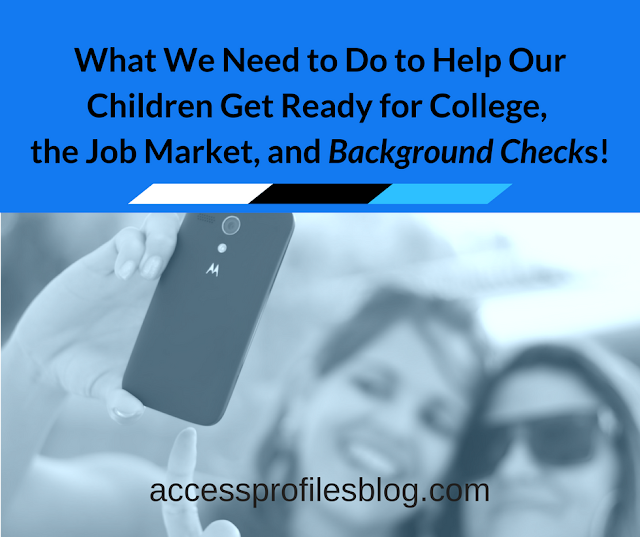 The bottom line ~ games like Candy Crush are fun. They also really do challenge your brain. You are required to think, problem solve, and strategize. 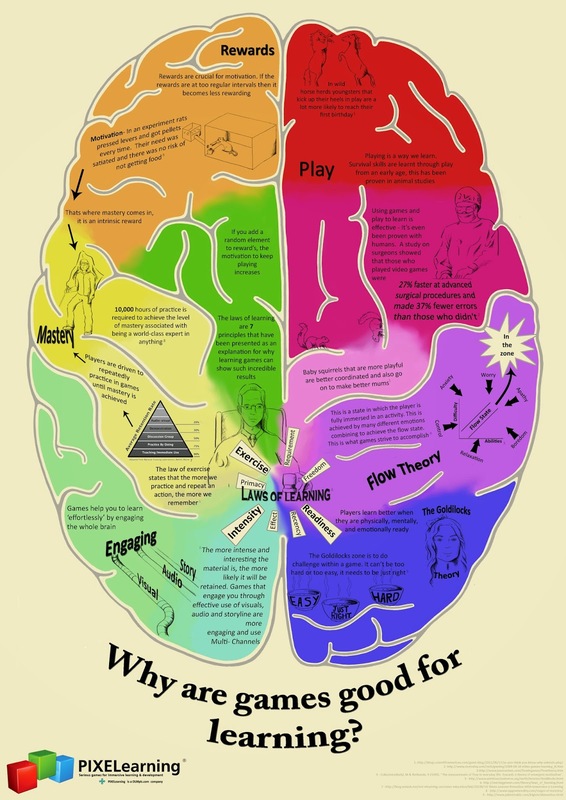 Each time you play, you are working your brain in ways that will improve your memory, and clear your mind. Having your brain always on the full "on" position isn't good for productivity. Being able to take short breaks to recharge your brain is much better. So next time you are feeling stressed or are stuck on a problem, take a break and play a quick round of Candy Crush. You may actually be helping yourself more than you know! And if you have a favorite game, Let me Know! I can help You take your Small Business to the next level. Subscribe to my blog, www.accessprofilesblog.com, and you will get timely tips and information dedicated to You, the Small Business owner. 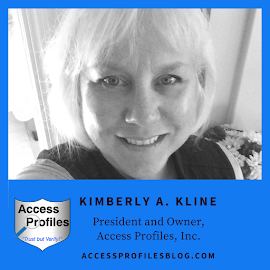 I would also love to connect with you on Facebook, LinkedIn, Twitter, and Google+! Candy crush for Computer is probably the most favored online flash games right this moment. Quite a few amateur participants soar directly into play devoid of possibly knowing the fundamentals from the sport. This article may help amateur and maybe great participants crush this candies the proper way. Thanks James. I appreciate you taking the time to read my article! I also thank you for your take on it! Thanks John! Appreciate your comments and wishing you a productive day!